Velocipedestrian wrote: OK Dougal, looks like the embargo is over(ish). What's the word beyond 37mm-ha-ha-one-more-than-you-have stanchions? I can confirm everything in that article. The Matchmaker clamps for Dominion are shipping in November. They swap over to any brake purchased prior. 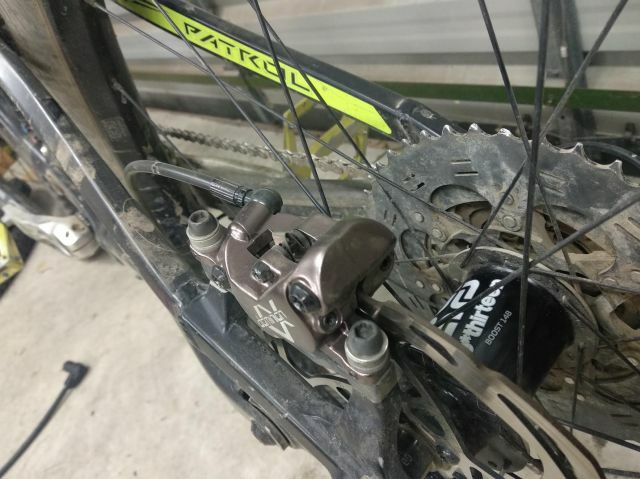 Shimano quietly launch Deore brakes in 4-pot variety. Takes the current 4-pot pads. Serve-Wave but no tool-free reach adjustment or dimpled lever. I hope they don't have the trademarked Shimano wandering bite point or else you'll really miss the reach adjust. It's nice to see eBikes having some positive impacts. Astoria Paranoia wrote: Shimano quietly launch Deore brakes in 4-pot variety. Finned pads fit with a little dremel work. Feel pretty great so far. AgrAde wrote: New Dominion brakes. Tried the metallic pads yet? Last edited by Dougal on Sun 6th Jan 9:43pm, edited 2 times in total. Just chucked them on and went for a hoon today to get the levers set where I like them. AgrAde wrote: Just chucked them on and went for a hoon today to get the levers set where I like them. Rotor looks too small. But that is kinda the adapter problem. You haven't plumbed the dropper lever onto it yet. That gen Patrol is 142 not 148? So far, very few complaints about anything e13 that came on the capra, which i'm honestly pretty surprised by. I've had excellent performance from the hubs over the last year. Rims are strong but a bit thin walled. Cassette shifted great for the two months I used it and I preferred it over the eagle that I was using before it. 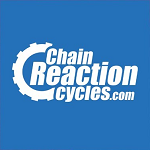 Their tires are excellent, I've got two single ply ones that I'm using as fronts on both my bikes.